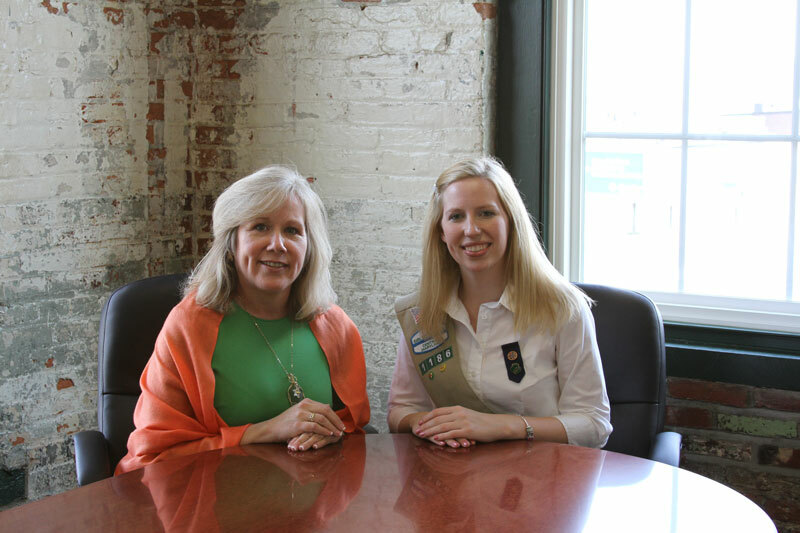 Girl Scout Sarah had the opportunity to get an inside look at the field of finance and wealth management when she shadowed Distinguished Women Honoree Marianne Fishler, President of Foundry Wealth Advisors, LLC. Sarah said Ms. Fishler told her it’s important to not only find a field she’s passionate about, but also to build her network and give back to the community. “She told me I should focus on my passions first, and that my job and the rest of my life will follow that,” Sarah said. Ms. Fishler said she was glad to not only share some of her own knowledge and experiences with Sarah, but that she learned about what young women are facing. “Sarah gives me incredible hope for the young women of America. Being with her today, and her allowing me to be her mentor has given me such inspiration and education about what young women are going through today,” Ms. Fishler said. Proceeds from the Distinguished Women’s Awards Reception and Online Auction support Girl Scout leadership programs like the Distinguished Women shadow days. Sarah and Ms. Fishler will speak at the Distinguished Women’s Awards Reception on Thursday, April 26, at 5:30 pm at the Baltimore Country Club in Roland Park–click here to learn more or to buy tickets. The Distinguished Women’s Online Auction runs from April 4 to April 18–click here to visit the auction page. For more information about the Distinguished Women program or to become a sponsor, contact Maria Darby at mjohnson@gscm.org.